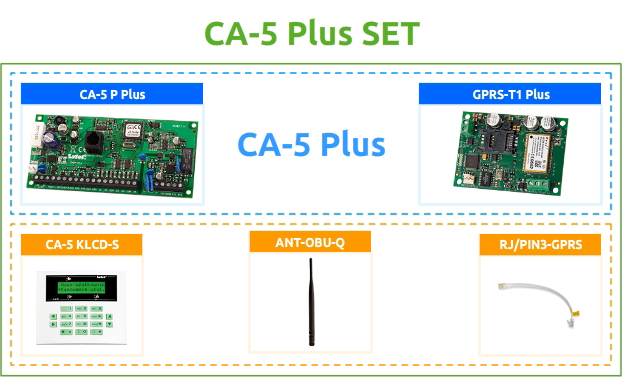 The CA-5 Plus SET is based on the CA-5 Plus product which consists of the CA-5 P Plus control panel and the GPRS-T1 Plus module (including the dedicated CA5T1 firmware for both these devices), installed in the OPU-4 P enclosure. The set offers functionality which so far has only been available in much more advanced devices, notably, remote programming via GPRS or control via SMS. When you add the option of remote system management through the monitoring station, the CA-5 Plus becomes an ideal solution for the people interested in a simple, easy to install and reliable system with enhanced communication functions to protect small premises, such as apartments, kiosks, boutiques and service points. Everyday operation of the CA-5 Plus using the LCD keypad is extremely simple, so it will hardly present any problem even to children or the elderly people. Close integration of the control panel with the GSM/GPRS communication module offers additional and very useful utility functions. The most important of them, which deserve special mentioning, are transmission to the monitoring station using GPRS channel, spare SMS and PSTN channel, or user notification e.g. about alarms via SMS. 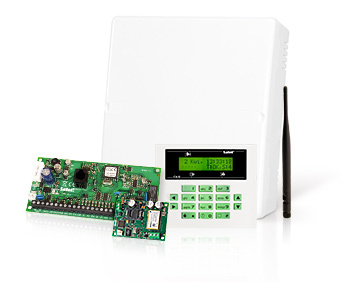 The CA-5 Plus offers users the ability to remotely control their alarm system within the basic range of its functionality by means of SMS messages. This solution will be particularly appreciated by the people who often stay far away from the protected premises and thus have no possibility to control their system locally. The CA-5 Plus is also a new useful tool for the system maintenance staff. 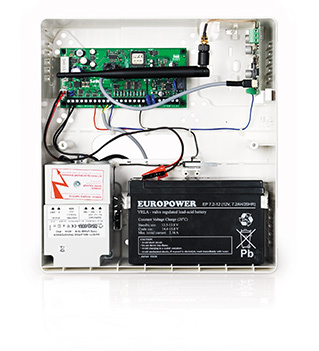 The CA-5 Plus makes it possible to establish a remote connection via GPRS to perform diagnostics or change settings of the system. A function offering remote update of GPRS module firmware is also available, which allows you to take advantage of the new functionality without the need for a service man visit to the protected premises. This will reduce the system maintenance costs. To make the use of the new CA-5 Plus functionality as easy as possible, special firmware called CA5T1 has been developed. It works in Windows environment and allows you to configure both the control panel and communication module. 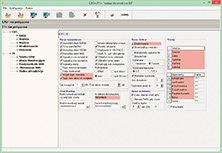 Owing to separate tabs, in which individual functions are programmed, operation of the program is extremely easy and intuitive. 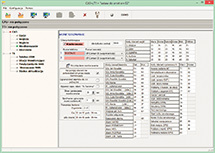 In addition to configuring devices, the CA5T1 program makes it possible to read the event log and check the status on-line, thus facilitating remote diagnostics of the system. Connection between the devices can be established either locally by means of the RS-TTL cable, or remotely via GPRS. This not only provides a possibility of quickly and easily configuring the control panel during installation, but also of changing some of the settings at a later date without the need for a physical visit to the protected premises. 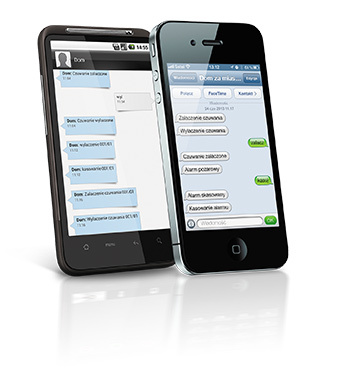 The functionality of notification and control of the system via SMS means even a greater sense of security for the user. 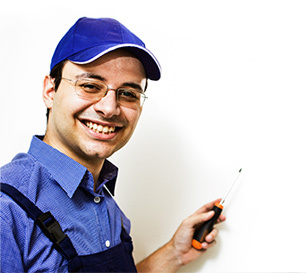 You can have at your disposal full information about the status of the alarm system at all times. Thus, you will know whether you have armed the alarm system, or whether a threat has been detected by it. The remote control makes it easy to use the system in unusual situations, for example, when being away from home you have to let in a person who is unable to operate the alarm system, or when you do not want to give your system codes to anyone. There is also an option to remotely bypass some control panel zones. You can change your own password code by sending an appropriate SMS command to the control panel. This is particularly important when you have to provide one-time access to the protected premises. The transformer and the battery must be purchased separately.